12"x18" Cemetery Mini U.S. Flags are the traditional size flags for grave adornments. Designed for elegance and durability, these flags from Tuff Flags will make a great way to pay respects to the soldiers who served our country through our Armed Forces, Fire and Police Units. Show your respect and honor to our finest with these mini flags. 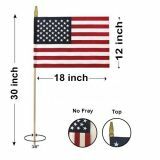 Choose from our complete line of 12"x18" Cemetery Mini U.S. Flags offered in various models like flags with no tip and with gold spear top. 100% made in USA, these flags have a no fray design, which makes them durable and economical. Shop now and take advantage of our best prices, quick shipping and much more! 100% customer satisfaction guaranteed! Honor our soldiers and the civil heroes with these 12"x18" Cemetery Mini U.S. Flags, which are used as traditional grave markers. These can be used as hand held flags during Memorial Day events and parades. Mounted on a wooden staff, this size is most commonly used in decorating grave sites or head stones of our American Veterans. These can be used as stand-alone adornments or can be held up off the ground with a grave marker. Show your respect and highlight American pride all at once with these 100% made in America flags that are created with precision and passion. 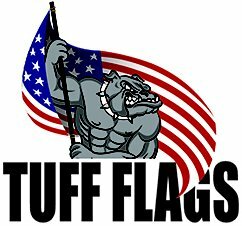 If you are looking for a beautiful Memorial Day flag, you are at the right place at Tuff Flags. 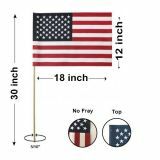 Choose from our fine collection of 12"x18" Cemetery Mini U.S. Flags or should you find it a bit overwhelming seek the assistance of our products experts. 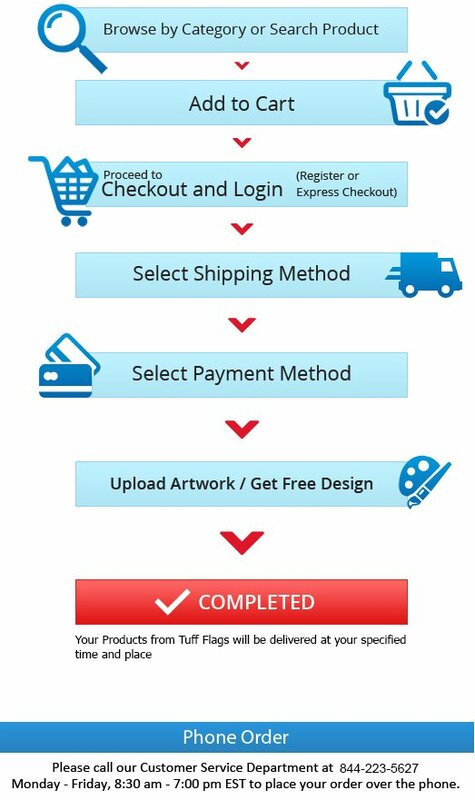 Call us a our toll free number (888) 287-3524 or you can also email your questions at customercare@tuffflags.com and we will assist you.